​ Contact Us to learn more! A Koi pond, or water garden as it is sometimes referred to, is made up of many different parts, including rock formations, wildlife, plant life, and more. When those parts are assembled together correctly by a professional pond contractor builder/installer like Pondscapes of Charlotte we form a beautiful and naturalistic work of art that changes personality with the time of day. 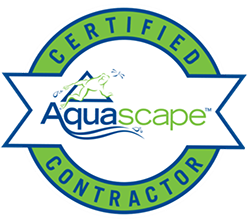 Are you interested in installing a water feature in your yard, but concerned about the safety and liabilities of having a pond? Or are you apprehensive about taking on the responsibility of maintaining a full-fledged ecosystem? Time to think disappearing pondless waterfalls... They're perfect for just about any size space. Get that relaxing environment without all the maintenance! Landscape Fountains provide homeowners with a unique and creative way to decorate their gardens & outdoor living space. Many homeowners desire the soothing sounds of running water, but are just not ready for a pond or simply cannot afford one. Aquascape’s handcrafted decorative line provides the perfect solution for small, entry level water features. Having a pond or water garden feature without LED underwater lights would be the equivalent of having a brand new car with no gas! 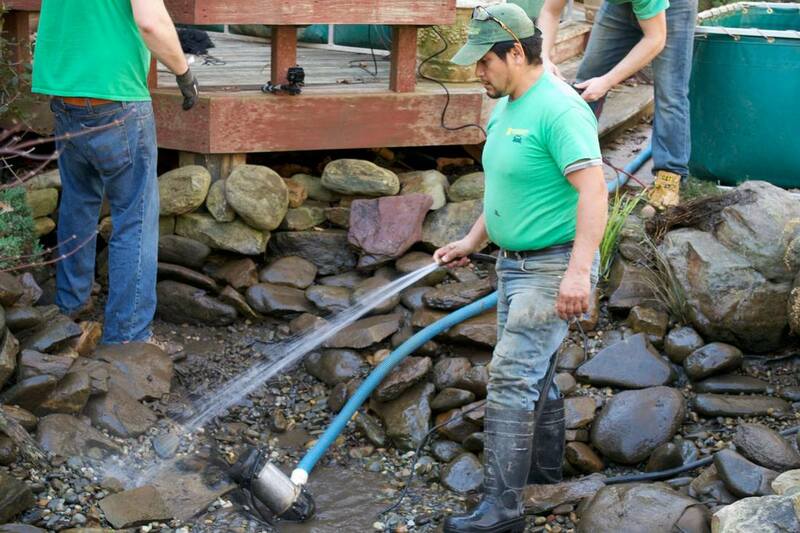 Now if you're asking yourself "How do I install a custom pond lighting system?" you're definitely in the right place. If you ask our customers, they will tell you that as far as LED underwater lights go, it is an absolute must have to complete your paradise dreams! Have A Space In Your Yard That You Don't Know What To Do With ? Are you interested in installing a water feature in your yard, but concerned about the safety and upkeep of having a pond? Or are you apprehensive about taking on the responsibility of maintaining a full-fledged ecosystem? DOES YOUR POND NEED HELP ?